A three-star hotel located in the stunning Giant Mountains offering comfortable accommodation with views of Svatý Petr, the Kozí hřbety (Goat ridges) and the Stoh ski slope. Hotel Zátiší consists of two buildings, which are connected via a tunnel. The main building has 24 rooms, a restaurant, children’s play areas, bar ZABAR. The second building has 17 rooms. Children under 6 years stay free with two paying adults. 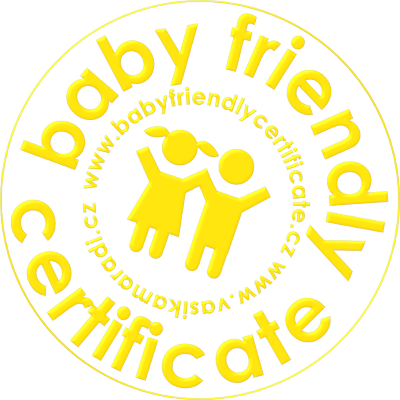 We are baby friendly and pet friendly. Four-legged pets welcome for 250, - CZK / night. Credit cards (VISA, EC / MC, Maestro, Eurocard / Mastercard), Benefit Plus payment vouchers, Sodexo, Uniseque, FKSP contributions, bank transfers and cash. We offer services and products designed to ensure that visiting families enjoy their stay. Give your loved ones a gift that will truly thrill them! Give them a memorable experience at Zátiší hotel. Select from our range of gift vouchers for 500 CZK, 1 000 CZK or 2 000 CZK. We can also create a gift voucher based on your selection of hotel package individually designed to match your requirements. You only have to add your personal message. Gift certificate validity is according to the specific terms indicated on the voucher. Please send us your specific requests zatisi,hotel-zatisi,com,here.